KABUL (Reuters) - Gunmen attacked an area around a security base and training centre for Afghanistan's intelligence service on Thursday in the capital Kabul, officials said. Staff and officials at the centre took shelter in a protected area of the compound as gunfire came from a half-finished building near the site. 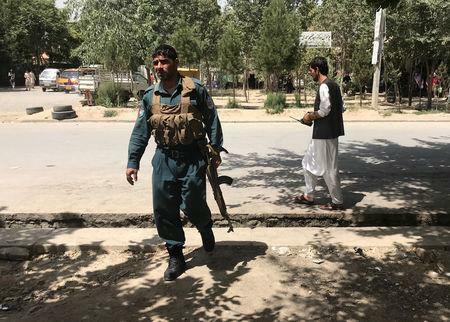 Kabul police spokesman Hashmat Stanekzai said the attackers were firing rocket-propelled grenades and other weapons but it was unclear how many gunmen were involved. The area around the site was closed off but media reported that gunfire and at least one explosion could be heard. There was no initial word on any casualties or claim of responsibility. Military and intelligence facilities in Kabul have been regularly targeted by insurgents. 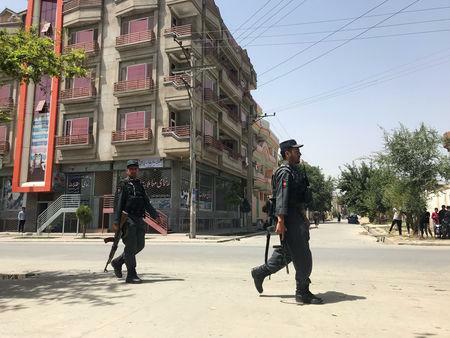 The latest incident comes at a time of high tension following a series of attacks including a full-scale assault on the city of Ghazni last week.